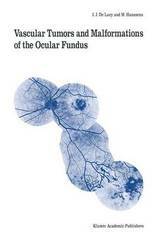 This report for the Belgian Ophthalmological Society concerns a number of fundus diseases, which most ophthalmologists only rarely encounter. Still it is of importance that they should be able to recognize them, not only because most of these eye diseases are treatable when they are diagnosed early enough, but also because they are sometimes associated with major visceral and neurological problems. The ophthalmologist may be the first practitioner to suspect a von Hippel-Lindau's disease or a neurofibromatosis. He should realize at that moment that his role is not only to treat the eyes but also to advise his patient, refer him to other specialists and consider the genetical implications of his diagnosis. Clinicopathologic correlations are of great importance and we felt that it was necessary to emphasize the histopathological aspect of these diseases. A report has to overview the literature on a specific topic. The literature on vascular tumors of the fundus is extremely vast and even if we tried to be as complete as possible, we must confess that we did not cite every author who published on such cases. A third aspect, which was considered as important, was to provide sufficient clinical and histopathologic examples of the various disease, which are reviewed. We are indebted to a large number of friends who kindly authorized the publication of their material. 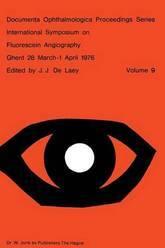 In particular we wish thank Prof. A. Brini (Strasbourg), Dr. D. de Wolff-Rouendaal (Leiden), Prof. P.
This volume contains the papers presented at the International Symposium on Fluorescein Angiography held in Ghent, from 28 march to 1 april 1976, under the presidency of Prof. J. Fran90is. The book has been divided in several chapters corresponding to the sessions of the meeting. The same order has been followed as for the pre- sentation of the papers. The discussions, however, immediately follow the papers concerned. During the meeting complications of fluorescein angio- graphy have been discussed; this part will be presented as a separate chapter at the end of the volume. I wish to express my gratitude to all who contributed to this volume and to all the participants of ISF A-Ghent. I acknowledge also the cooperation of the publishers Dr. W. Junk, B.V. J.J. De Laey, M.D. XI EDITORIAL We must be respectfully grateful to Her Majesty the Queen, who very kindly extended her high patronage to the International Symposium on Fluorescein Angiography.